Occasionally in recent weeks, this blog has provided information on keyboard shortcuts for unusual characters (unusual for English that is. Ed.) on a Linux keyboard. The last of these took the umlaut (diaresis) as its subject (posts passim). Today, attention turns once again to German and the s key, which can produce two characters, depending upon the combination of keystrokes. Depressing the AltGr key and s produces “ß“, the German sharp s or esszett, usually transcribed in English as ss. The other character that can be produced is “§“, which can be produced with the AltGr, Shift and s keys. It is believed to originate from the Latin signum sectionis, meaning section sign and usually turns up in with reference to legal documents. 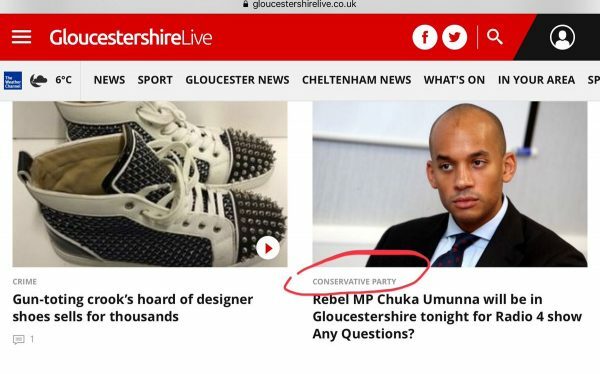 Where more than one section of a legal text is involved, the sign is repeated, i.e §§. Read the subtitles for a more honest version of what the worst Prime Minister in modern British history actually said in Sharm El Sheikh. 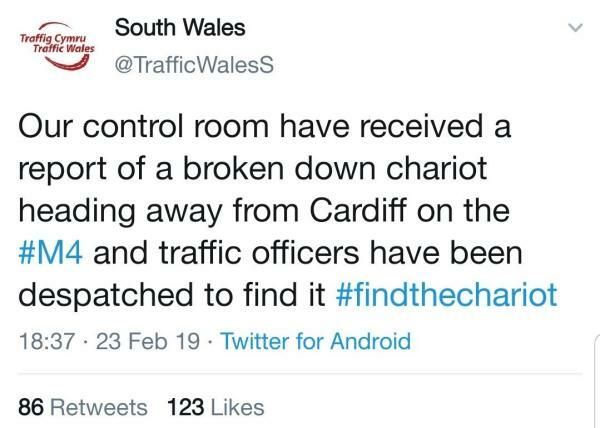 After Wales’ 21-13 decisive victory in yesterday’s Six Nations rugby fixture in Cardiff, Traffig Cymru, the Welsh Government’s traffic information service, couldn’t resist having a bit of fun on Twitter at the expense of the England squad and English rugby fans. 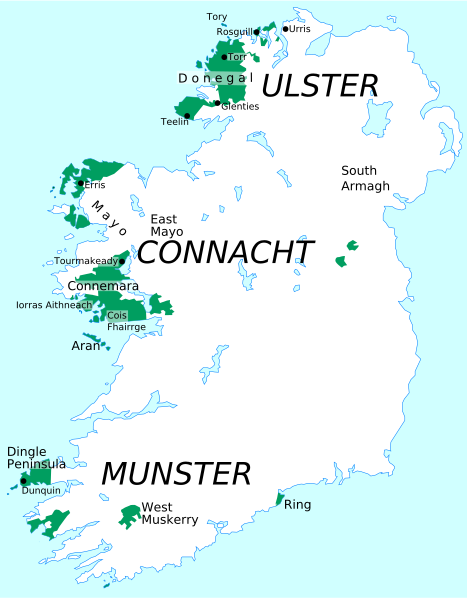 In Ireland, any predominantly Irish-speaking area is known as a Gaeltacht (plural: Gaeltachtaí). The island’s Gaeltachtaí are shown in green on the map below. The green-shaded area beneath the Dingle Peninsula is the Iveragh Peninsula (Irish: Uíbh Ráthach) in County Kerry and an interesting appointment has just been made here. Yesterday Irish broadcaster RTE reported that a Russian had been appointed as an Irish language officer there and would be leading efforts to revive the Irish language there. Victor Bayda, a native of Moscow, has taken up the post with Comhchoiste Ghaeltacht Uíbh Ráthaigh, a community organisation in the south Kerry Gaeltacht of Uíbh Ráthach. Mr Bayda is a fluent Irish speaker and has been teaching it in Moscow for about fifteen years. In addition to Irish, Mr Bayda also speaks Dutch, Scots Gaelic, Welsh, Swedish, French, German and Icelandic. 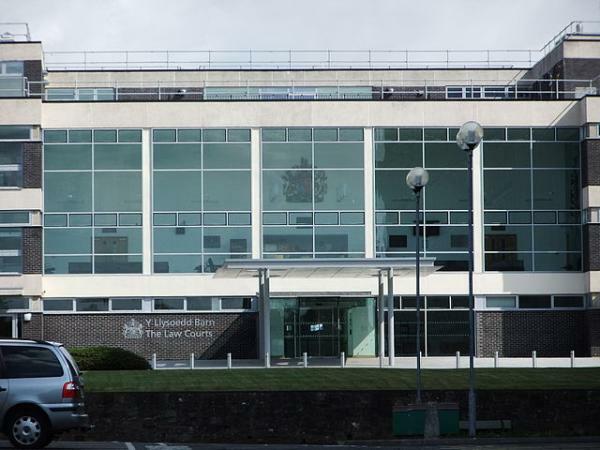 His duties in his new post will include implementing a comprehensive language plan aimed at arresting the decline of the language on the peninsula, where 60% of the residents claim the ability to speak Irish. According to the 2016 Irish census, just 7% of the Gaeltacht population speak Irish daily outside the education system. Mr Bayda becomes the tenth Irish language planning officer to be appointed so far in Gaeltacht areas. In 2017, Victor posted the video below on Youtube. The way a completed translation has been produced has changed markedly over the decades since my first days as a translator for Imperial Tobacco in Bedminster, Bristol. In those days I’d write out the translation in longhand from printed source material and take my manuscript to the typing pool where it would be transformed into typescript. The next big change came with my learning how to touch-type. By this time I was a freelance with no more access to a typing pool. In my early freelance days, it was rare to get editable copy that one could overkey with one’s usual word processor, spreadsheet or presentation package. The standard way of working was still from hard copy propped up in a copyholder alongside one’s keyboard. Then there came a large surge in the use of formats such as PDF – Portable Document Format. This format enables documents, including text formatting and images, to be presented in a manner independent of application software, hardware and operating systems. If the PDF was text-based, one could simply export the text as plain ASCII text or copy and paste it into a word processor. However, if I had an image-based PDF to work with, my usual answer was to print it out as hard copy to be propped up in a copyholder alongside my keyboard. This was very expensive in terms of paper and other consumables for the printer, even with a machine as parsimonious as my trusty mono laser printer, whose cartridge was good for printing 3,000 or so pages of copy. In addition to the expense of printing, there was a far greater drawback to bear in mind, i.e. one could easily miss a sentence or paragraph from the original text when keying in the translated from a hard copy original, with the consequent implications for the quality of the finished work and the client’s satisfaction with it. Then I discovered OCR – Optical Character Recognition – the mechanical or electronic conversion of images of typed, handwritten or printed text into machine-encoded text. Here’s a short video explaining the basics of OCR. My preferred OCR package is gImageReader and – as with the software I recommend for use by translators – is open source and available for both Linux and Windows. 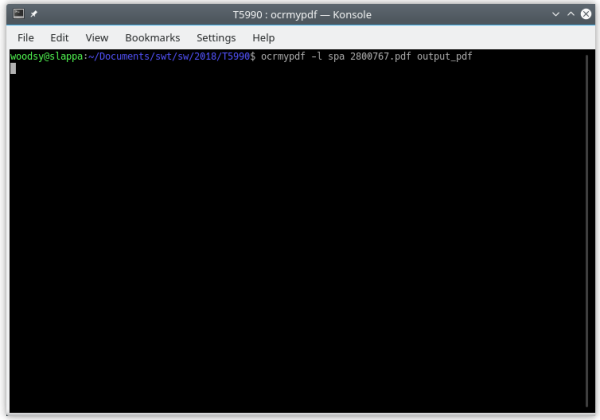 Generating PDF documents from hOCR documents. I generally just stick scanning the input file to plain text, which can then be fed into a regular office suite for translation. If your office suite can handle HTML that’s the format gImageReader outputs as its hOCR output. 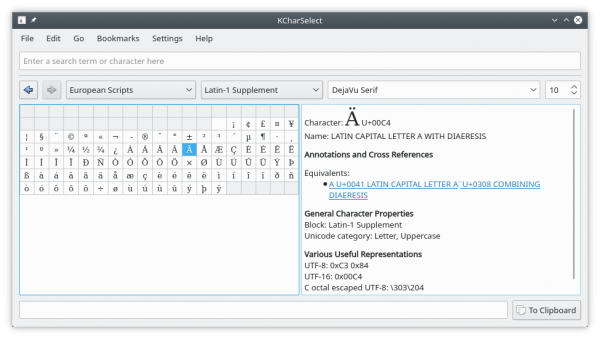 The tesseract OCR engine mentioned above can also be enhanced with language packs for post-recognition spellchecking, as mentioned in the features above. At present, tesseract can recognise over 100 different languages. In addition to GUI-based OCR, there are also Linux packages available which can perform OCR via the command line interface. My tool of choice here is OCRmyPDF. OCRmyPDF is a package written in Python 3 that adds OCR layers to PDFs and, like gImageReader, also uses the tesseract OCR engine. More complicated command options are possible, but after using that simple string above, you’ll be able to extract the text from your formerly image-based PDF ready for translation. By way of conclusion depending on the software itself, OCR packages can also extract text from images such as .jpg files. 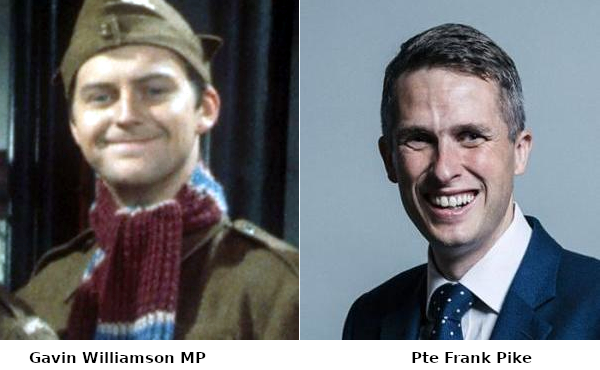 An algorithm with a sense of humour? Google’s developers evidently have a sense of humour, as the search below shows. Not all humour from techies is quite so obvious to ordinary mortals and is normally deeply buried in comments in code, mark-up and the like. Some weeks ago, I blogged about the keyboard shortcut for guillemets – French quotation marks – on a Linux keyboard (posts passim). My attention in this post is on the German umlaut, also known as diaresis (or in French as a trema. Ed.) the two dots placed over a vowel modifying its pronunciation. Once again, one could always use the character map to insert a specific vowel with an umlaut. However, the keyboard shortcut is much quicker. To produce the letter a with an umlaut – “ä“, follow these steps. Depress AltGr key and the left-hand square bracket “[” followed by “a“. The AltGr and left-hand bracket symbol plus the vowel of your choice will give you that character plus an umlaut. For the upper case version, I find the easiest way to avoid knotting your fingers is to turn on the CapsLock key before the AltGr key and the left-hand square bracket “[” plus vowel sequence.